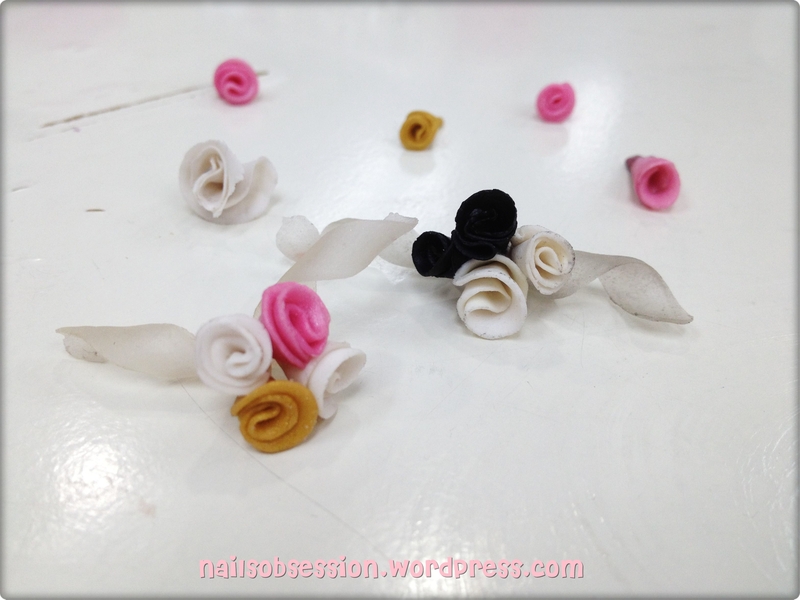 What we learnt during our last few lessons were: creating 3D nail art using acrylic powder + monomer, and design sculpture. 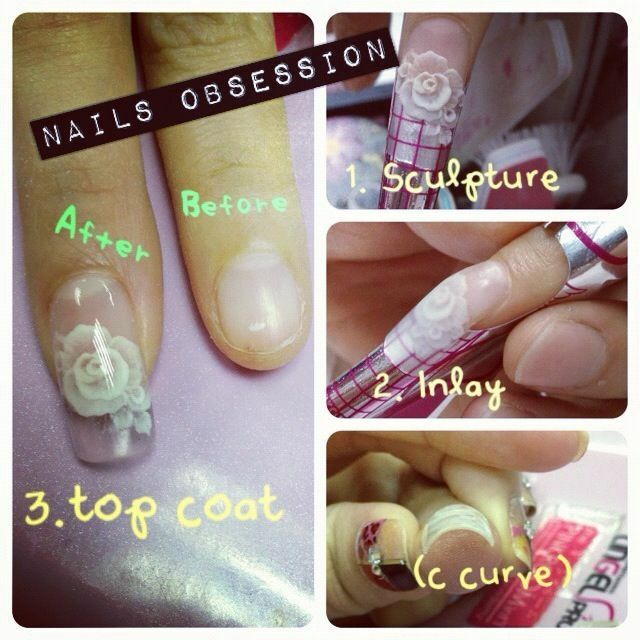 After sculpturing it on the back of nail form, remove it and glue onto your own nail. 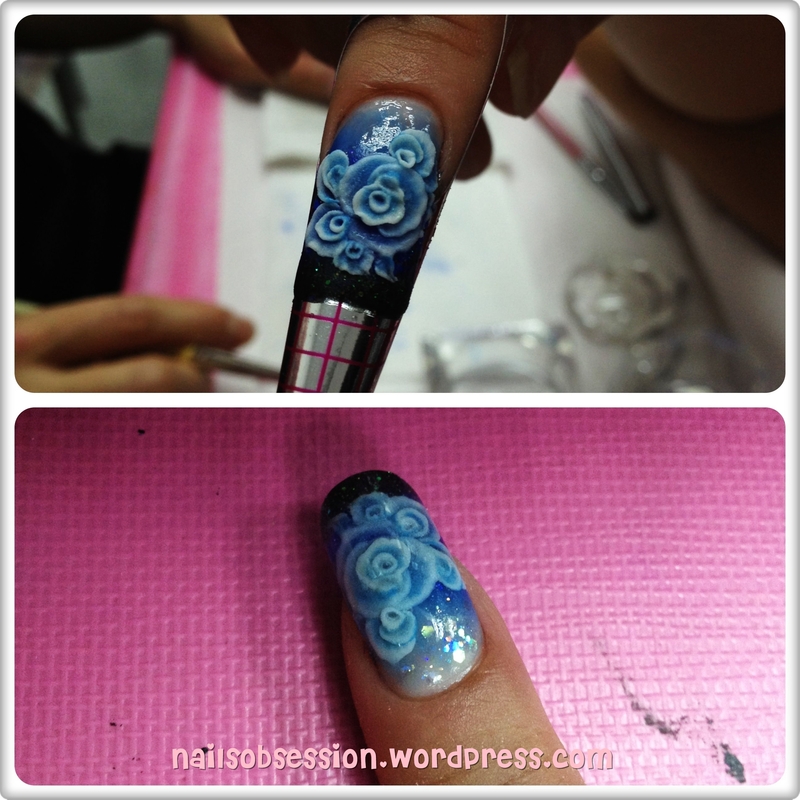 But of cos’ we don’t usually do it bigger than the customer’s nail bed so that it wouldn’t look too exaggerated. 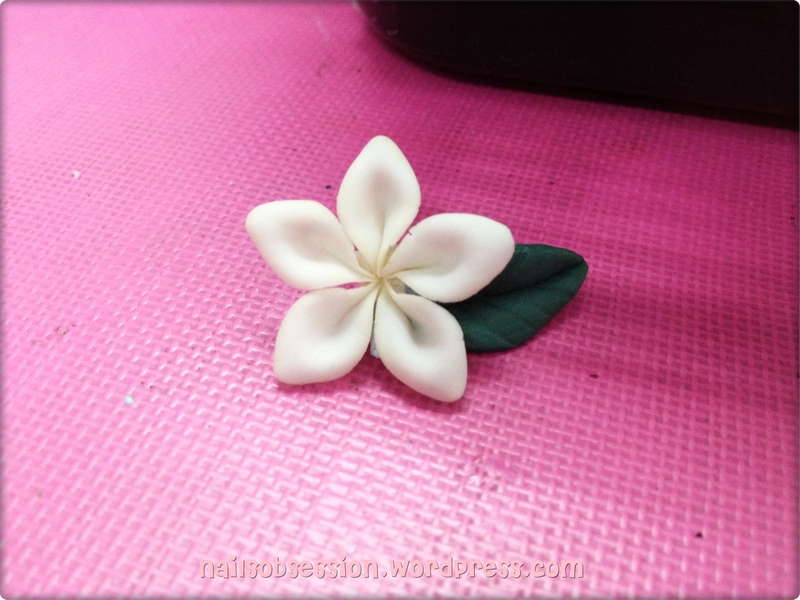 Also learnt how to sculpture a flower. 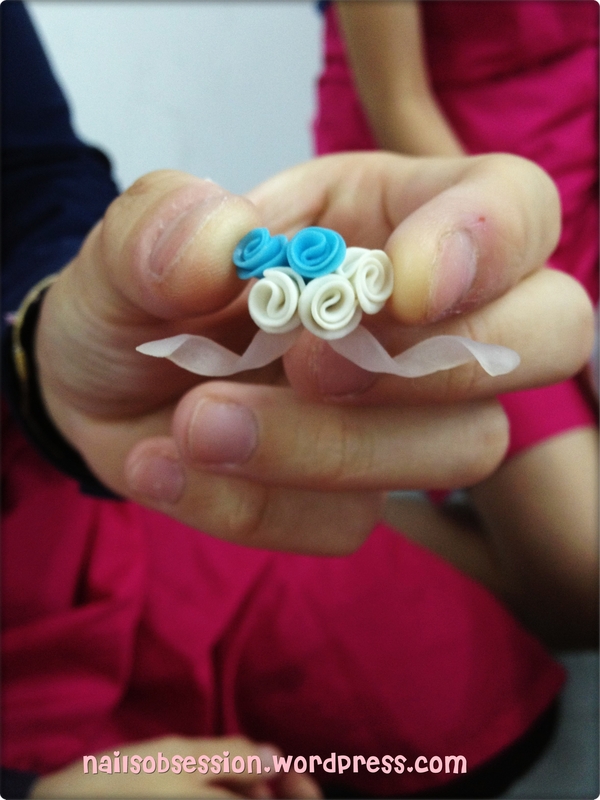 An idea struck me to re-create it as a ring! Will do so when available, sounds fun just by the thought of it! Joe also demo-ed a 2-toned colour sculpture on a classmate. 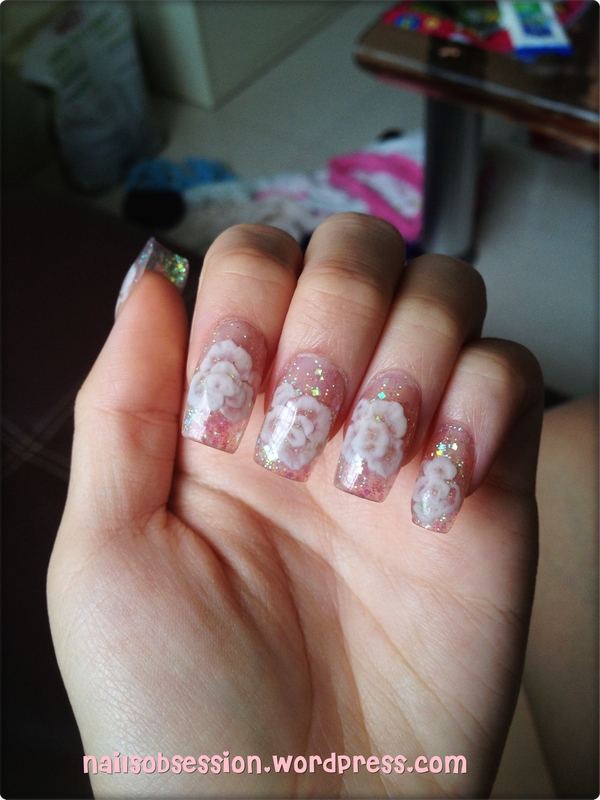 And that was the condition of my nails due to doing embossed art with normal polish base. 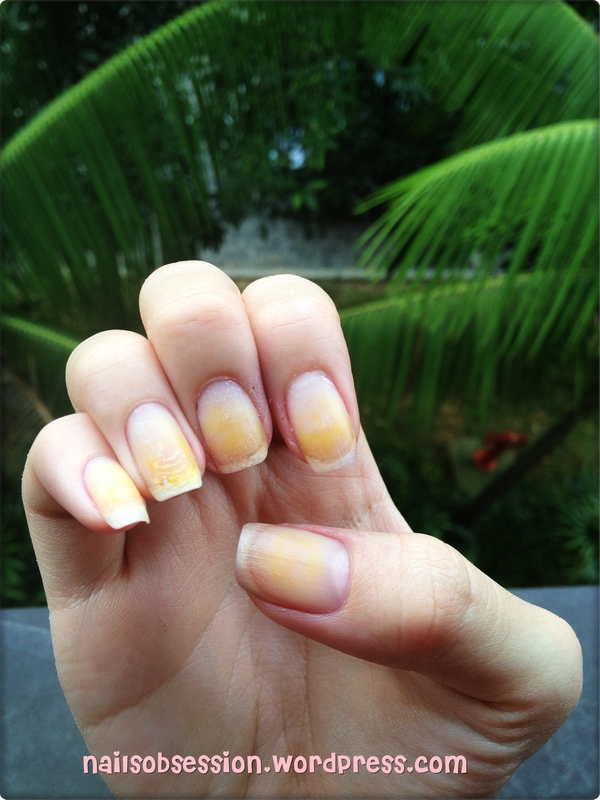 Uber sad but a lesson learnt, so I had the stain filed them off and now my nails are ultra weak and thin. But whatever hahaha. 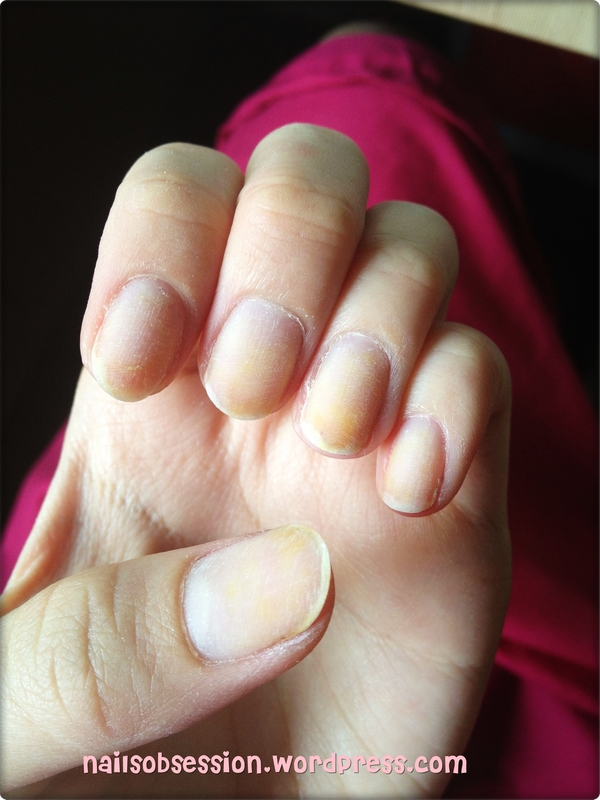 After filing and cleaning of cuticles! Very clean but ultra weak zzzz. 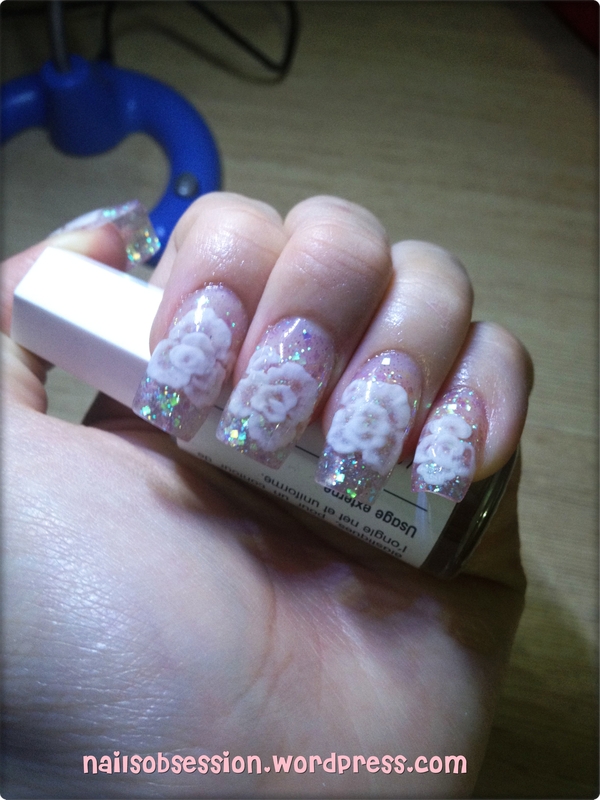 After a painful 3hours here’s the end result..
Extension base was done with Harmony’s light pink glitter dust, hence the pink hue at the tip! 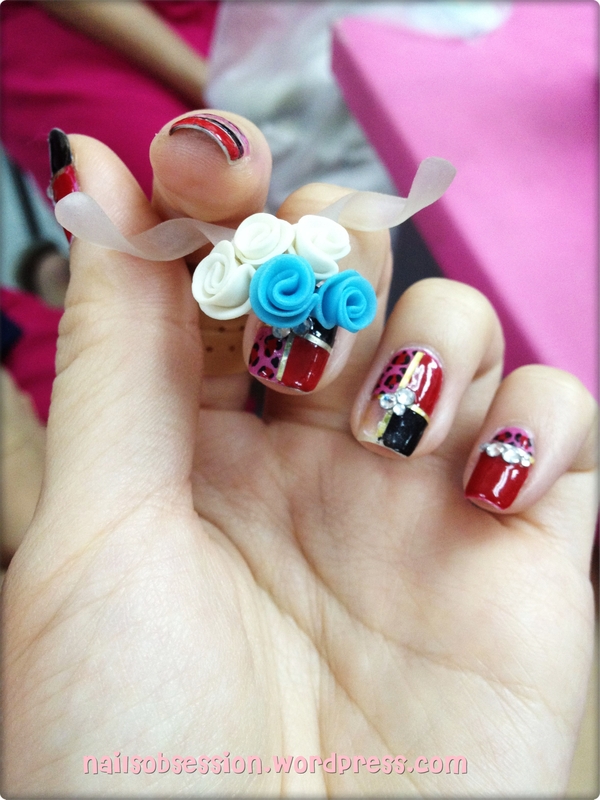 FYI I’m still wearing this set of nails now. 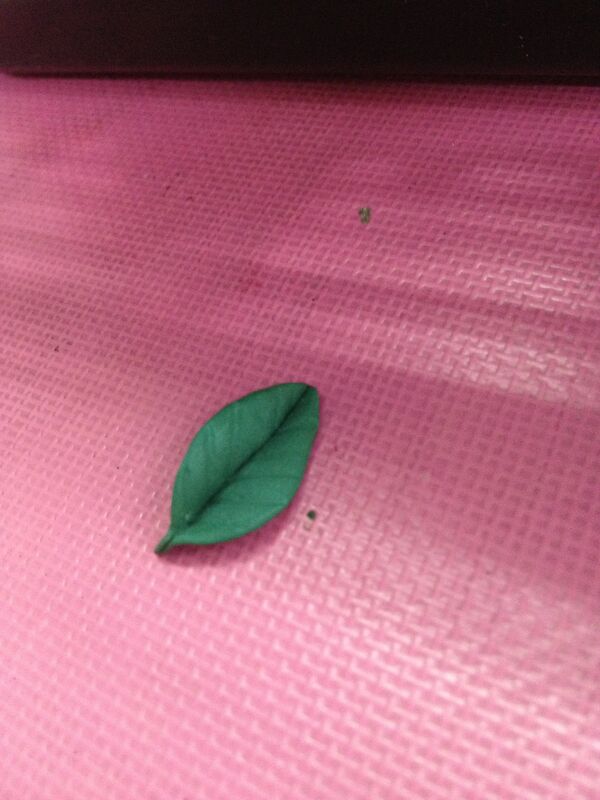 Super love it please! Side view – the arch. 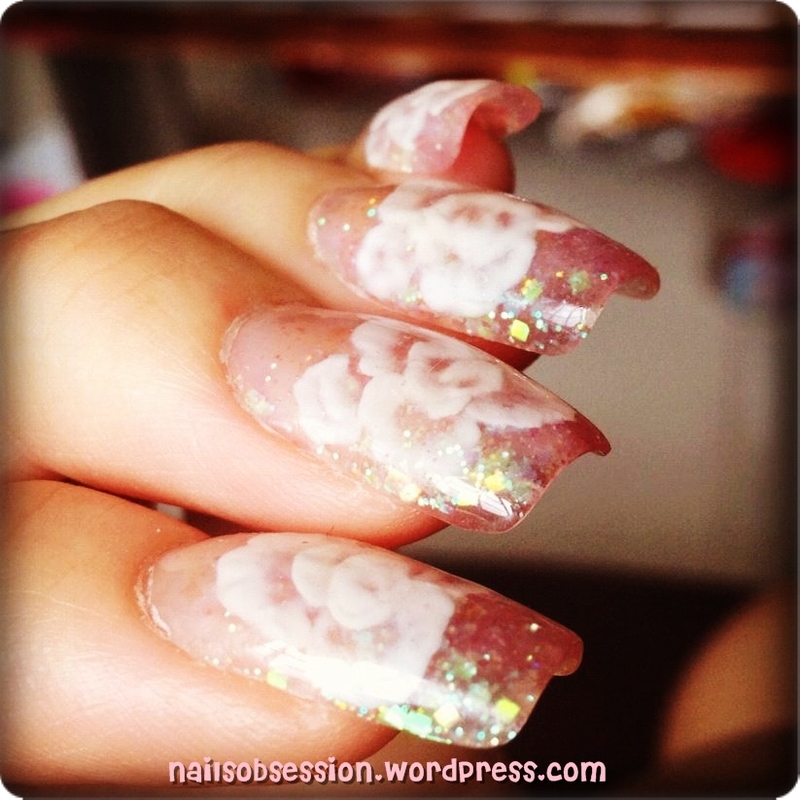 When attending acrylic extension lessons, we were taught that a good extension should have a nice c-curve and arch. 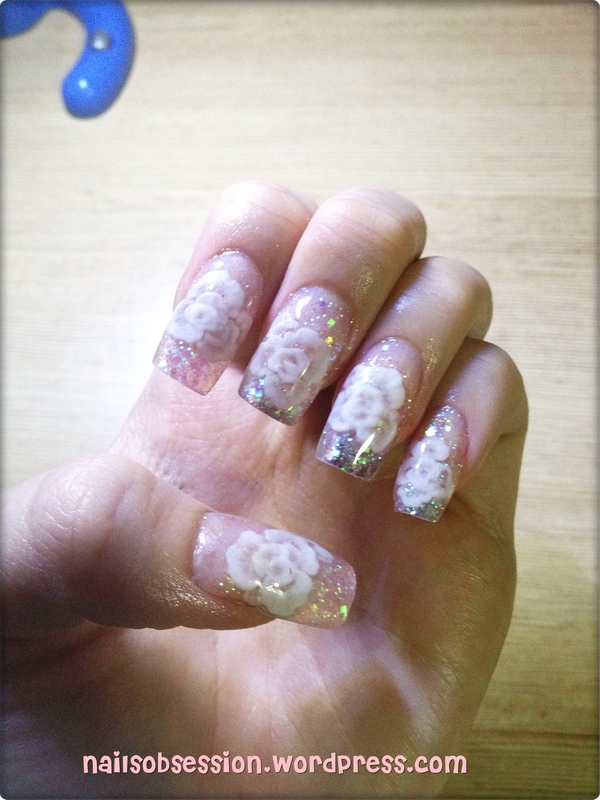 It should bulge in the middle and thin down at the tip as this will create the strongest nail combination so that it wouldn’t break nor chip. 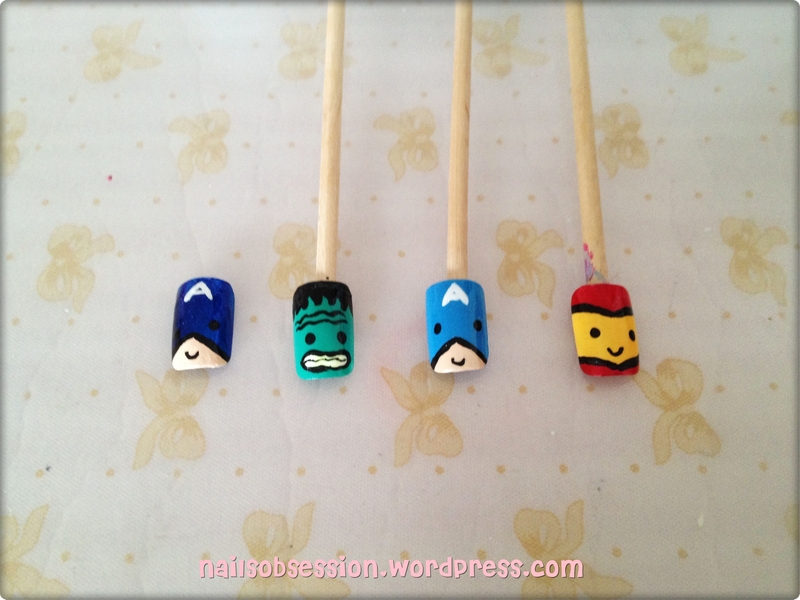 Lastly, shall end off this post with this set of cute Avengers nail my sis did! 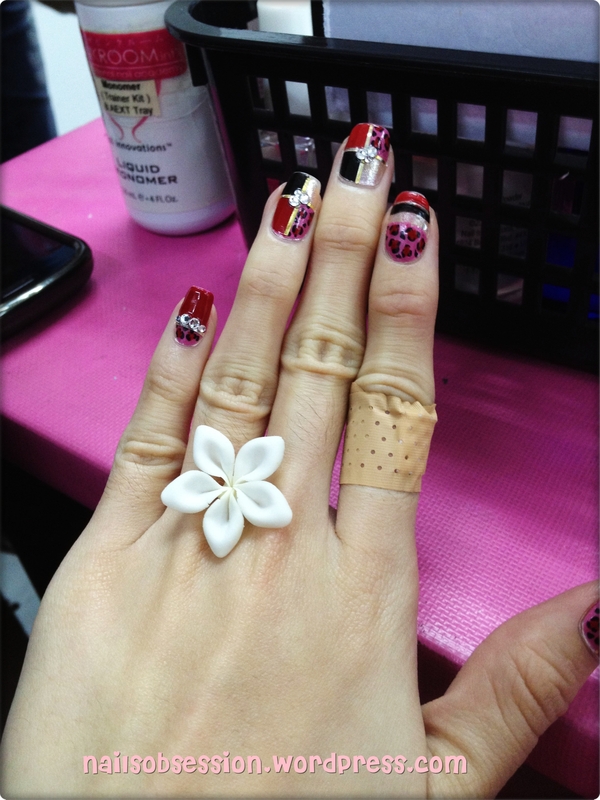 Super cute and she’s wearing 10 Captain America on her nails now lol!